Brazil is a federative republic divided into 26 states, a Federal District (with Brasilia the capital since 1961) and 5,565 municipalities. With more than 209 million inhabitants, Brazil is the fifth most populous country in the world after China, India, the United States and Indonesia. Brazilians share a common multi-ethnic and multiracial background, and because of Portugal's influence Brazil is the only Portuguese-speaking nation in the Americas. Immigration from Europe, Africa and Asia (mostly Japan) was the primary source of Brazilian population growth up to the 1930s. Inflation was a major problem in Brazil during the 100 years that followed the proclamation of the Republic in 1889. The problem became more severe after the 1970s and several measures were taken to control inflation in the 1980s and early 1990s. Over a period of 27 years, Brazil had seven different currencies and the inflation rate reached a historical high of 6,821.31 per cent in January 1990. After the failure of six monetary changes, the Real Plan was created in 1994 by the then Finance Minister Fernando Henrique Cardoso, who would launch the plan as the base of his presidential run a couple of months later. The success of the Real Plan was the hallmark of Cardoso's two terms as President. The Brazilian economy's solid performance during the 2008 financial crisis and its strong and quick recovery, including growth in 2010 of 7.5 per cent, have contributed to the country's transition from a regional to a global power. Nevertheless, Brazil's economy continues to face its worst recession for 25 years. This entire scenario, combined with Operation Car Wash (see Section II.i), has deeply affected the construction industry in Brazil such that it is no longer the fourth-biggest 'construction site' in the world, a position it held until recently. The Brazilian multinational petroleum corporation Petrobras has implemented significant cuts, taking its long-term spending plan to its lowest level in eight years, and from now until 2019 the company plans to invest 41 per cent less than it has done previously over comparable periods. The move is designed to reduce the company's debt pile and restore some of the eroded investor confidence in the firm. Because of the size of the company and its importance to the Brazilian economy, the drop in Petrobras's level of investment in Brazil may reduce national GDP growth this year by a full percentage point. This is all taking place at a time when investment is needed to restart growth in the parlous Brazilian economy. In May 2017 lawyer Michel Temer became President after Dilma Rousseff's impeachment trial began. A general election will take place in October 2018 and it is hoped that the new President will bring expertise and integrity to the role, and restore a sense of calm, which the country desperately needs. Governments usually play an important role in the development and finance of infrastructure projects, for which political will and sustained political support are needed. There was a global tendency in 1980s and 1990s to diminish the role of the state, with the privatisation and concession of public services to the private sector. In this context, between 1990 and 1994 the federal government privatised 33 state-owned companies tied to strategic sectors. Nevertheless, as private companies are quite often unable to compromise their budgets during the long course of the maturation of infrastructure projects, commercial banks, multilateral agencies and export credit institutions became important financiers of infrastructure projects through project finance. Project finance is usually defined as the financing of long-term infrastructure, industrial projects and public services based on a non-recourse or limited recourse financial structure, where the project debt and equity used to finance the project are paid back from the cash flow generated by the project. It is a financing technique that generally allows a company to raise funds to set up a project based on its feasibility and its ability to generate revenues at a level sufficient to cover construction and operational costs, as well as debt service and a return for the investor. The country has seen considerable activity in projects and construction in the past two decades, as well as an increased use of more complex financing structures, especially project finance and public-private partnerships (PPPs). As a financial model that adapts well to the funding needs of private sector projects, project finance represents an important instrument to make investments in Brazilian infrastructure viable. In recent years, project finance in Brazil has developed an advanced and sophisticated legal framework, based upon a diversified security package including direct and indirect securities, as well as the assignment of different rights under the security agreements. Brazil is no stranger to corruption. However, several attempts to bring major cases to trial have failed to achieve convictions; sometimes this is because of police work, sometimes because Brazil's anti-corruption laws offer innumerable possibilities for technical challenges, particularly when evidence comes from wiretaps, and frequently because the convoluted judicial system allows cases to drag out until they expire, particularly if elected officials are involved. Presently, Brazil finds itself in the grip of its biggest and most shocking scandal to date. The Petrobras scandal, known locally as Operação Lava Jato (Operation Car Wash), has rocked the country socially, economically and politically. The operation has exposed the extent to which the tendrils of corruption have spread through Brazil's economy. The scandal initially began as a money-laundering investigation in March 2014, but quickly transitioned into a wider exploration of allegations of corruption at state-controlled Petrobras and a number of other firms, uncovering a vast and intricate web of political and corporate racketeering. Some of Petrobras's directors have been accused of taking bribes from construction companies in return for awarding lucrative contracts. The elaborate nature of the racket established by Petrobras and its fellow conspirators has shocked many – especially as the company was once considered the world's 'most ethical oil and gas company'.2 Its standing in Brazilian society has tumbled in light of the revelations. In Operation Car Wash, police and prosecutors are bending over backwards to avoid previous errors. To date, the operation has seen several arrests and billions of dollars seized by investigators. The secret of the success of Operation Car Wash has been in persuading suspects to provide detailed confessions in exchange for reduced penalties (rewarded collaboration). The Organisation for Economic Co-operation and Development (OECD) Working Group on Bribery, in its latest (Phase 3) report on implementing the OECD Anti-Bribery Convention in Brazil, published in October 2014, calls it 'cooperation agreements and judicial pardon'. Collaboration has existed in Brazilian criminal law since at least 1995, but formalised agreements have only now come into their own with Law No. 12,850/2013, known as the Organised Crime Law. This defines organised crime, lists acceptable investigatory methods and provides a detailed road map for collaboration. One or more of the following results must be achieved: identification of co-authors and participants in the criminal organisation, and of their respective crimes; exposure of the hierarchical structure and division of functions within the organisation; total or partial recovery of proceeds; prevention of further crimes; and the safe release of victims. Prosecutors can ask the judge to grant a full judicial pardon, reduce the collaborator's sentence by up to two-thirds, or substitute imprisonment with a lesser penalty. Collaboration is voluntary, with defence lawyers present, but collaborators must tell the truth – and the whole truth. Any future discovery of lying, concealment or omission can lead to the agreement being revoked. The process starts with a signed statement detailing what the suspect will reveal and the leniency that prosecutors will recommend in return. For each collaboration agreement, prosecutors weigh factors including the importance and novelty of the information to be provided about the crimes and those responsible, the evidence to be offered and the amounts to be recovered. Operation Car Wash has entered a crucial phase, as accusations have been made not only against former Presidents Luiz Inácio Lula da Silva and Dilma Rousseff, but also against current President Michel Temer. Despite the fact that it may be considered the biggest corruption scandal in world history, Brazilians hope Operation Car Wash will mark a crossroads and herald a permanent and stable change, with standards moving towards the desired levels of ethics in business. Lula da Silva has recently been convicted for corruption and money laundering. Three judges at the federal appeals court in Porto Alegre voted unanimously to uphold the sentence that Lula da Silva was handed by Judge Sérgio Moro – from a lower court in the city of Curitiba – and increased the penalty from nine-and-a-half years' imprisonment to 12 years and one month. Just a few hours after becoming President, Michel Temer created a new programme for infrastructure projects: the Investment Partnerships Programme (PPI) through Provisional Measure No. 727/2016, which became Law No. 13,334/2016. The PPI is intended to expand and strengthen relations between the state and the private sector, so that they can run jointly public infrastructure projects and undertake other privatisation measures through partnership contracts. The partnerships between the state and the private sector under the PPI encompass not only concessions, PPPs, grants of permits and leasing of public assets, but also any other public-private arrangements that have the same legal structure as the aforementioned – and, therefore, involve similar risks, levels of investment and complexity. The federal public projects that adopt the PPI partnership model will be specified and regulated by presidential decrees, which will also determine projects' strategic guidelines and main legal aspects, and will establish long-term policies for investment. The decrees will also determine the federal policies regarding partnerships in public infrastructure projects in the states, cities and the Federal District, and will establish other privatisation mechanisms. The PPI represents an institutional rearrangement in Brazil, modifying the way undertakings are structured, improving their licensing procedures and requiring the adoption of better conduct and working practices. Furthermore, the PPI created a PPI Council and a PPI Executive Secretary, which both answer directly to the President. The Council will assist the President in managing the PPI and consolidates the functions of three different entities: the PPP management office, the National Council for Integration of Transportation Policies and the National Council of Privatisation. The Executive Secretary will lead, monitor and evaluate all the action taken in the course of the PPI. The Brazilian Logistic and Planning Company will now report to the Executive Secretary instead of the Ministry of Transport, and will provide support to the PPI Council. The PPI also authorises the Brazilian Development Bank (BNDES) to create and participate in the Partnership Structuring Support Fund, with a view to enabling partnerships approved within the scope of the PPI. The fund will run for a term of 10 years, it will be private in nature and have its own capital – distinct from that of its administrators and shareholders. Licensing procedures should be improved for PPI projects, and licences should be issued efficiently and on time to meet the PPI's priorities and schedules. The entities and authorities from the federal government, states, the Federal District and municipalities will have to work together to enable efficient licensing procedures. As regards the structuring of the projects, it is now possible to open a preliminary procedure to support the definition of the basic characteristics of a project. However, the PPI prohibits the reimbursing of the authors of such preliminary projects – which is significantly different from what used to happen in past concessions. Administrative bodies with jurisdiction over matters related to the PPI will have to adopt their own programmes of good practices according to national and international standards. To ensure fair competition and compliance with sectoral rules, the PPI emphasises public consultation prior to the issuance of rules, impact studies for regulatory changes, annual monitoring of results, and joint efforts with control bodies and with the Administrative Council for Economic Defence. According to the Basel Committee on Banking Supervision, International Convergence of Capital Measurement and Capital Standards (Basel II), November 2005, project financing is a method of funding in which the lender looks mainly to the revenues generated by a single project, both as the source of repayment and as security for the exposure. Project finance transactions require joint efforts from lenders, investors, suppliers, offtakers and sponsors to make the implementation of a project feasible. The success of project finance depends on the joint effort of several related parties, as issues such as a lack of coordination and conflicts of interest can have significant costs. In project finance, equity is held by a small number of sponsors and debt is usually provided by a syndicate of a limited number of banks. Concentrated debt and equity ownership enhances project monitoring by capital providers and makes it easier to enforce project-specific governance rules for the purpose of avoiding conflicts of interest or suboptimal investments. The use of non-recourse debt in project finance further contributes to limiting managerial discretion by tying project revenues to large debt repayments, which reduces the amount of free cash flow. Moreover, non-recourse debt and separate incorporation of the project company make it possible to achieve much higher leverage ratios than sponsors could otherwise sustain on their own balance sheets. Non-recourse debt can generally be deconsolidated, and therefore does not increase the sponsors' on-balance sheet leverage or the cost of funding. From the perspective of the sponsors, non-recourse debt can also reduce the potential for risk contamination; in fact, even were the project to fail, this would not jeopardise the financial integrity of the sponsors' core businesses. One drawback of non-recourse debt, however, is that it exposes lenders to project-specific risks that are difficult to diversify. To cope with the asset specificity of credit risk in project finance, lenders are making increasing use of innovative risk-sharing structures, alternative sources of credit protection and new capital market instruments to broaden the investor base. Hybrid structures between project and corporate finance are being developed, where lenders do not have recourse to the sponsors, but the idiosyncratic risks specific to individual projects are diversified away by financing a portfolio of assets as opposed to single ventures. PPPs are becoming more common as hybrid structures, with private financiers taking on construction and operating risks while host governments cover market risks. security documentation (security agreements, subordination agreements, guarantees, collateral agreements, hedging agreements and direct agreements). Public-sector contracts are almost exclusively awarded through formal and competitive procurement processes regulated by Law No. 8,666/1993. Design-bid-build (DBB) is the most traditional and generally used delivery method in the public sector, but the engineering-procurement-construction (EPC) model has been used more and more in large projects in the past two decades. Private sector contracts on the other hand are awarded through a mixture of formal tenders and direct negotiation and award. The use of standard forms for construction contracts is not common. The most common transactional contractual or procurement structures in Brazil are DBB; EPC; and engineering, procurement, construction and management. The EPC contract has been the most commonly used, particularly for hydro and thermal power plants; however, alliance contracting has recently become more popular. Alliance contracting has represented a viable, proven alternative to adversarial business-as-usual contracts in Brazil as it offers a unique system of project delivery whereby risks are shared between principal and contractor. Alliance contracting is an incentive-based relationship contract in which the parties agree to work together as one integrated team. All parties are bound to a risk-or-reward scheme where they all share savings or losses, depending on the success of the project. At first sight, the potential shortcomings of an alliance contract, such as a lack of certainty concerning project length and cost, may appear critical. However, banks are adapting their lending practices to accommodate alliance contracting by (1) conducting enhanced due diligence, (2) examining the financing structure, (3) requiring risk mitigation provisions in the contract, and (4) specially wording insurance clauses to make them effective. Alliance contracting offers a unique system of project delivery whereby risks are shared between the principal and contractor. Alliance contracting is advisable for complex construction projects, when the parties are unable to assess at the outset the costs involved and the estimated period for completion of the project. The parties in alliance contracting expect a reduction of the risk of disputes by relieving short-term demand pressure on the industry and setting up the foundations for longer-term structural improvement. Alliance contracting can relieve the pressure of the short-term demands on the industry and set the foundation for longer-term structural improvement in the way the industry works. Alliance contracting eliminates, or at least significantly reduces, the risk of claims and disputation between the parties through the use of inclusive and collaborative legal and commercial arrangements. These arrangements enable the parties to work together in an open and productive manner and to strive to achieve the business goals of everyone in the relationship. In most alliance contracts, time and cost obligations are notably lacking; the emphasis is on the result (e.g., delivery of the project) and less on the road that leads to the result. This brings with it a degree of uncertainty about budgets and delivery dates. If a project has an inflexible completion deadline or inflexible budget, then an alliance contract could lead to major problems. Unfortunately, but understandably, the dredging industry is more often than not confronted with inflexible deadlines or budgets. Government agencies, which are often the clients, do not in general have the liberty to engage in projects with open deadlines or budgets. The organisation of an alliance contract can also be much more difficult as soon as more than two parties are involved. With three or more parties, an alliance board may easily become unmanageable. Parties may therefore prefer a traditional contract with all the usual certainties. Also, third parties confronted with an existing alliance contract may wish to deal only with either the contractor or the client, not with both. In an alliance contract, three can seriously be a crowd. Third-party involvement may even lead to a conflict of interest. Nowadays the willingness to work in an alliance can be one of the selection criteria for a construction contract. But, because of obligations deriving from relationships with third parties, forming an alliance contract may turn out to be difficult. The choice of a contract depends on various factors including the type of works and time pressure for its execution; the parties and their capacity to be involved in one or more areas of responsibility; the procurement method; the expected risk-allocation system, including allocation of fit-for-purpose concept and design responsibility; and the costing and pricing mechanism. The most commonly used standard forms of contract, which have become increasingly popular in Brazil, are those produced by the International Federation of Consulting Engineers, commonly referred to as FIDIC forms of contract. The success of large projects depends on the joint effort of several related parties so that coordination failures, conflicts of interest and free-riding of any project participant can be avoided or mitigated. Various factors affect the allocation of each risk, including political issues, the availability and economics of insurance cover, commercial bargaining power and the nature of the individual project. Often a party is prepared to take a risk only if it knows its exposure is not open-ended, and limitation of liability is frequently accepted as going hand in hand with apportionment of risk. In Brazil, parties are excluded from liability for any indirect damages as provided in the Brazilian Civil Code. Parties may also include a limitation of liability clause for direct damages, but they are not allowed to simply eliminate any kind of liability they may have towards the other. The limitation of liability for direct damages may exclude loss of business profits and restrict the responsibility for all other general losses and damages to a cap. There is no legal limit to this cap, but it is advisable to have a limitation that is compatible with the type of contract and the risks assumed by the parties in their execution of it. A liability cap does not apply in the case of gross negligence, fraud, wilful misconduct or wilful refusal to perform works that may cause the other party damage. While insurance and liability limitation clauses are conceptually separate, they are both integral to any analysis of the limitations of liability in a contract in terms of risk to the parties involved. Contractual caps on liability can follow the limits of cover under insurance policies, and insurance policies can be seen as mitigating the contracting parties' risk by passing the risk and cost of certain events on to a third-party insurer. Liability is not automatically capped at an agreed indemnity insurance limit unless there is express provision to this effect. In Brazil, foreign investors enjoy the same property rights as those available to Brazilian citizens and there is a very low risk of nationalisation or government expropriation of assets or any other example that may characterise political risk. There is no single way to eliminate all risks in connection with a particular project; however, one of the most effective ways of managing and reducing political risks is to lend through, or in conjunction with, multilateral agencies such as the World Bank, the European Bank for Reconstruction and Development or other regional development banks. Where one or more of these agencies is involved in a project, the risk of interference from the host government or its agencies may be reduced on the basis that the host government is unlikely to want to offend any of these agencies for fear of cutting off a valuable source of credit in the future. An administrative, judicial or judicial decision that establishes a new interpretation or orientation on a rule of undetermined content, imposing a new duty or new conditioning of law, shall provide for a transition regime when it is indispensable for the new duty or condition of law to be complied with in a proportional, equitable and efficient manner and without prejudice to the general interests. The strength of the security package on offer will also have an impact on the 'bankability' of a project. Typically, lenders will seek to take security over all of a project company's assets. However, in a project located in an emerging market with an undeveloped collateral framework, the practical reality of creating and enforcing security is that it may be expensive, time-consuming and uncertain in outcome. In practice, therefore, enforcement of security over a project company's assets is generally seen by lenders as a last resort. For many lenders, the main driver in taking security over a project company's assets is, should the project company face financial difficulties, to maximise the strength of their bargaining position against (1) the project company's other creditors, (2) the host government, and (3) the project company's sponsors. Should a project face financial difficulties, the lenders' ability to enforce their security (with, subject to local law requirements, no obligation to share the benefits of the enforcement proceeds with anyone else) puts them in the strongest possible position in the context of any restructuring negotiations. As a general rule, security must be granted in favour of all lenders. However, lenders may appoint a collateral agent to act on their behalf as an attorney-in-fact. The power of attorney must clearly state the matters entrusted and the scope of the authority. contractual guarantees for equipment and materials. Once executed, the security agreement has to be registered with the competent public registry depending on the type of collateral and its location (e.g., the Real Estate Registry for real property and pledge over equipment and machinery, the Registry of Titles and Deeds for security interests over most movable goods and the Maritime Court for Brazilian ships). Security agreements related to certain assets (e.g., real property and ships) require public form (i.e., the parties' representatives must be present before a public official, who will record the agreement). Security interest over credit rights require notification or, if required by the underlying agreements, consent of the debtor. Along with providing performance security, contractors must often take out life and personal accident insurance for employees, as well as a performance bond, civil liability risk insurance and engineering risk insurance. Performance bonds are generally in standard form established by the Insurance Regulatory Agency and provide funding to cover the owner's increased costs in the event the contractor defaults on the contract up to the value of the bond. Usually the bonding company has the option of paying these costs or taking proactive steps to complete the contract such as appointing a replacement contractor. While there have been very few reported claims for risks associated with green construction risks; they will probably rise. And carriers are increasingly aware that their insurance policies do not properly account for the new risks inherent in green construction. While a standard commercial general liability (CGL) policy may cover most of the issues a principal or builder may face during the construction of a green building, there are situations that may be unique to green building and might fall outside the coverage provided by the CGL policy. As a result, new green builders' endorsements are being created by several insurance companies. For example, some insurance endorsements cover the added costs of attaining a specific level of green certification if the certification standards change during construction. Other products cover delays related to the completion of a green construction project. Although insurance providers have started to account for some green risks, others have largely been ignored. In Brazil, enforcement of security follows the rules set out in the Civil Procedure Code and the Civil Code. As for bankruptcy issues, Law No. 11,101/2005 (the New Bankruptcy Law) provides enhanced protection and flexibility for debtors in financial distress to reorganise while continuing to operate their businesses. At the same time, creditors – particularly secured creditors – are likely to see their debt recovery prospects improve when businesses are liquidated, giving them a more significant role in the negotiation of restructuring plans and in reorganisation proceedings than previously. The New Bankruptcy Law gives priority to the settlement of guaranteed loans – along the lines of Chapter 11 provisions in the United States – and makes the restructuring of firms in financial distress more cooperative and conducive to recovery. It introduced three procedures: extrajudicial reorganisation, judicial reorganisation and bankruptcy liquidation. The Law does not apply to fully or partially state-owned companies, financial institutions, credit cooperatives, purchasing pools, supplementary private pension entities, healthcare plan operators, insurance companies, capitalisation companies and other legally equivalent entities. For this type of legal entity there are regulatory agencies that provide for liquidation when it is apparent that they do not have the ability to honour their debts. Law No. 9,605/1998 and Decree No. 3,179/1999, establishing civil, administrative and criminal sanctions for individuals or legal entities that breach environmental laws. Environmental legislation and regulations in Brazil are enacted at the federal, state and municipal levels. Federal agencies set out general requirements of broad applicability, while specific standards of enforcement are left to state agencies, either by regulation or by administrative orders. The states and municipalities can also issue standards of equal or more stringent requirements than their federal counterparts. In addition, the Brazilian Technical Standards Association issues technical norms and standards addressing specific environmental issues. The content of these standards is generally considered to be the best management practice. However, the standards can also be considered to be legal requirements when recommended by any piece of legislation. Preliminary licence: this is issued during the preliminary planning stage of a project for a maximum five-year term. The licence signifies approval of the location and design of the project, certifies its environmental feasibility and establishes the basic requirements and conditions to be complied with during the subsequent stages of implementation. Installation licence: this authorises construction, civil works and the installation of equipment in accordance with the specifications contained in the approved plans, programmes and projects, including environmental mitigation provisions and other conditions. Operating licence: this authorises operation of the development in accordance with environmental mitigation measures and operating requirements, on confirmation that the previous licensing conditions were met. These licences can be granted for between four and 10 years and are renewable within the legal time frame established by the competent environment agency. All requirements set by the operational permit must be met during the project's operation. Failure to meet these conditions may trigger administrative, civil and criminal liability. This could mean a range of penalties, including fines, indemnification, suspension of activities and imprisonment. Principle 10: Equator Principles Financial Institution (EPFI) reporting. Adoption of the EPs by a financial institution is voluntary, but once they have been adopted, the adopting entity must take all appropriate steps to implement and comply with them. Every adopting institution declares that it has or will put in place internal policies and processes that are consistent with the EPs and that it will report publicly (as required by Principle 10) regarding its implementation experience. As part of their review of a project's expected social and environmental impacts, EPFIs use a system of social and environmental categorisation, based on the environmental and social screening criteria of the International Finance Corporation. Financial institutions must comply with applicable federal and regulations, and may be subject to administrative, civil or criminal liabilities; however, lenders can hardly assume environmental liability for financing an infrastructure project in Brazil. If, however, control of the project company by the lenders is too tight, financial institutions may qualify as shadow directors and, hence, become liable to a certain extent for the activities of the borrower. Therefore, structuring of the supervision of the project company in the credit agreement is crucial for the lenders to avoid liability. administrative concession: a contract under which the public service, which may involve carrying out public construction works or supplying and installing fixed assets, is provided directly or indirectly to the public administration, which, in turn, provides all the compensation to the private partner for rendering this public service. The legislation promotes risk-sharing, with risks allocated, according to which the party is best placed to control them. 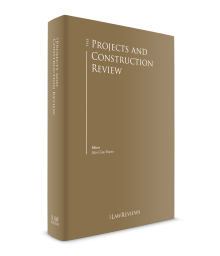 A contractor's risks for the cost of future maintenance as well as quality control on PPPs may be mitigated by performance and risk-shifting contract provisions. Contract selection must always be made through competitive public bids under the pre-qualification system and preceded by a public audience. The tender process must comply with the procedures set out in the legislation regulating tenders and administrative contracts. stadiums – Fonte Nova – BA (state level) and Dunas – RN (state level), Pernambuco Stadium, Maracanã Stadium and Fortaleza Stadium (state level). Foreign enterprises may do business in Brazil without having to establish Brazilian companies or joint ventures with Brazilian contractors and designers. Also, Brazilian law does not require local partners to control a joint venture. In fact, general policy is to admit foreign capital and treat it in the same way as local capital, and except in clear, defined areas (such as mining, coastal navigation and alike), 100 per cent foreign ownership of local companies and joint ventures is normally permitted. The most common form of business organisations in Brazil are limited companies and joint-stock companies. Limited companies have a much simpler structure than joint-stock companies, and are more often adopted for closely held companies; they are also more cost-effective for simpler structures and their organisation is cheaper than that of joint-stock companies. Establishment of joint ventures is common in Brazil. A major motivation for establishing joint ventures is to pair specific know-how and technical cooperation between domestic and foreign firms to compete in segments of the government procurement market or in other markets subject to government regulation, such as telecommunications and energy. Usually, the foreign company partners supply technology and financial support to Brazilian companies leading in the local market. There are no rules governing the incorporation of joint ventures, and they may be in the form of a limited or joint-stock company by way of a formal contract. The joint venture agreement is intended to establish a close relationship between the participants to attain common business goals, whether or not this implies a capital contribution or the organisation of a new company. There are no rules in regard to the participation of each company, which may differ according to the interest in maintaining stock control. leasing agreements entered into by and between parties resident and domiciled in Brazil involving funds raised abroad. Bank accounts in a foreign currency in Brazil are only permitted in very specific cases, such as accounts held by diplomats, tourism agencies, credit card companies and insurance companies. The foreign exchange rules have been amended over time, and presently there is considerably greater freedom for remittances of funds to and from Brazil. Until the middle of the past decade Brazil was subject to a strict foreign exchange scenario, and the inflow and outflow of funds were subject to specific rules and regulations enacted by the National Monetary Council and the Central Bank of Brazil (BACEN). This foreign exchange control has been relaxed in time, and new measures have been provided that are expected to further ease existing controls. Pursuant to the foreign exchange rules currently in place, any individuals or legal entities resident in Brazil have freedom to remit funds to or from abroad without any limits, provided that any such remittances are processed by a local agent duly authorised to deal in foreign exchange, based on the legal grounds of the transaction and taking into account the responsibilities of the parties defined in the underlying documents. The registration of foreign capital with BACEN is provided for by Law No. 4,131/1962 and by Law No. 4,390/1964, guaranteeing equal treatment of foreign and domestic capital. Foreign capital is defined as goods, machinery and equipment, imported into Brazil without prior foreign capital disbursements, for the production of goods or services, as well as financial resources remitted to Brazil for application in economic activities, provided that, in both cases, the foreign capital belongs to individuals or legal entities resident, domiciled or with a head office abroad. Foreign capital must be registered with BACEN in its original currency within 30 days of the entry of the funds into the country. This registration represents the official recognition of the investment and allows for the remittance of profits and dividends (as from 1996, exempt from income tax), repatriation of the invested capital and reinvestment of profits at any time, without applying for any further authorisation. There are no specific courts or tribunals in Brazil dealing solely with project finance transactions or construction contracts. Generally, such matters would be litigated in the federal courts (mandatory if the federal government is involved), state courts or in arbitration. Brazil has also ratified the Panama Convention, the Montevideo Convention and the Buenos Aires Protocol on International Commercial Arbitration in the Mercosur. The Brazilian Arbitration Law provides for two kinds of arbitration agreements, both in writing: the arbitration clause (the parties to an agreement elect to submit to arbitration any controversies arising from it) and the arbitration commitment (the parties agree to submit a specific dispute to arbitration). The arbitration clause may be inserted either in the agreement text or in a separate document referring to it, and shall indicate whether the arbitration will proceed under the supervision and in accordance with the rules of a given institution or, alternatively, the rules expressly selected by the parties to govern the arbitration. the place in which the award shall be issued. Each party should appoint one or more arbitrators and may also appoint their alternatives. If an even number of arbitrators is appointed, the arbitrators may appoint another arbitrator; if they do not reach an agreement, then the parties shall request that the court make the appointment. The appointment of an arbitrator may be challenged whenever there are questions about his or her impartiality. Also, by means of the arbitration agreement, the parties may set further restrictions as to the appointment of arbitrators. What constitutes an arbitral award in Brazil? Arbitral awards in Brazil are as binding as court decisions and are enforced accordingly. Awards can only be challenged by means of court actions for nullification of the awards. To request nullification of an arbitral award, parties should demonstrate the existence of one of the requirements provided for in Article 32 of the Brazilian Arbitration Law, which are all related to procedural issues (i.e., non-existence of arbitration commitment, violation of due process, award rendered beyond the limits of the arbitration agreement, decision that fails to address the entire dispute referred to arbitration, etc.). There are no appeals against awards issued in arbitration proceedings and the merits of the arbitration cannot be re-examined by the courts. The arbitral award shall be signed by the sole arbitrator or by the entire arbitration tribunal. The chair of the arbitration tribunal shall expressly indicate that one or some of the arbitrators cannot or do not want to sign the award. The Brazilian Arbitration Law has adopted a territorial criterion that classifies the award in one of two categories: foreign or domestic. Therefore, a foreign award is considered to be one rendered outside Brazil. This distinction is important for recognition and enforcement purposes as a domestic arbitral award is not subject to appeals or to recognition by the courts and a foreign award will first have to be recognised by the Superior Court of Justice before it can be enforced in Brazil. Application for recognition before the Superior Court of Justice is mandatory for the validity of a foreign arbitral award in Brazil. The award does not have to be recognised by the foreign state's judicial courts before being submitted to the Superior Court of Justice. The application for recognition should contain the original foreign arbitration award or a certified copy thereof, duly notarised by the Brazilian consulate and translated into Portuguese by a sworn translator in Brazil, and the original agreement to arbitrate or a certified copy thereof duly translated into Portuguese by a sworn translator. The standards regarding the enforcement of a foreign arbitration award in Brazil are consistent with Article V of the New York Convention. The Superior Court of Justice has recognised foreign arbitral awards whenever they do not violate any of the provisions of Article 38 of the Brazilian Arbitration Law. The Superior Court of Justice has analysed only formal aspects of the award. The merits of the arbitration award have not been analysed. The Superior Court of Justice's internal rules authorise the Court to issue preliminary injunctions during the recognition proceedings, such as freezing assets or temporary restraining orders. Once the foreign arbitration award is recognised by the Superior Court of Justice, the judgment creditor is entitled to enforce the award in the same way as a domestic award, that is, before a competent first-instance state court. One of the main reasons for this strong and steady development is the unquestionable support of Brazilian courts, in particular the Superior Court of Justice, responsible for deciding the final appeals on court cases and for recognising foreign arbitral awards for future enforcement in Brazil. The strong support arbitration is receiving from the courts makes Brazil a convenient place of arbitration and provides foreign and Brazilian parties with a reliable, binding and faster method for dispute resolution, mainly for complex contracts. Arbitration, a well-favoured mechanism for the engineering and construction sectors, has become increasingly predictable and user-friendly as a result of various systemic changes. The choice of an international arbitration institution or the adoption of international arbitration rules has no influence on the future enforcement of an arbitration award in Brazil. A foreign contractor is therefore free to adopt the arbitration rules of any international institution. the Mediation and Arbitration Chamber of the Institute of Engineering of São Paulo. One of the most controversial issues in the 1996 Arbitration Law was whether public entities were allowed to be party to arbitral proceedings. The amendments expressly allow public entities to use arbitration, should the dispute relate to disposable economic rights. Pursuant to the amendments, arbitration involving public entities shall always remain public. Arbitration is expressly provided for in corporate disputes. Shareholders may approve arbitration clauses in the corporate by-laws by a majority vote, giving minority shareholders the right to liquidate and be reimbursed for the value of their shares, with a few exceptions. Parties may now opt to dispense with those arbitral institutional rules that restrict their choice of arbitrators to those on the institutions' lists. This is one of the most controversial of the proposed changes, with opposition coming from some of the main Brazilian arbitral institutions, which assert a possible loss of institutional quality and an unconstitutional interference with the freedom of private arbitral entities to operate. Those supporting the change believe it is necessary to respect party autonomy in their choice of arbitrators, which is in line with international arbitration practice and the rules of major international arbitral institutions. Arbitrators are authorised to issue partial awards. The parties and arbitrators by common agreement can extend the period prescribed by law in which the arbitral award must be issued (in the absence of agreement by the parties, the limit is currently six months under the 1996 Law). It is now explicitly provided that all foreign arbitral awards must be ratified by the Superior Court of Justice to have effect in Brazil. Before an arbitration proceeding is instituted, the Law authorises parties to go to the courts to obtain protective or emergency measures. However, once the arbitration proceeding is instituted, it will be up to the arbitrators to maintain, modify or revoke these measures. And after the arbitration proceeding is instituted, the parties must go directly to the arbitral tribunal to request such measures. The arbitral tribunal may issue an 'arbitral letter' requesting that the courts in the territory where the arbitration proceeding is seated help to ensure the requests of the tribunal are being carried out. The amendments introduce a rule that the statute of limitation is interrupted by the institution of the arbitration, even if the arbitral tribunal eventually finds that it lacks jurisdiction. In accordance with the Law, the arbitration is considered instituted once all arbitrators have accepted their appointments. Nevertheless, once the arbitration is instituted, the date of the request for arbitration determines the time that the statute of limitation is interrupted. Dispute boards are starting to be used in Brazil, and are composed of a panel of three experienced, respected and impartial reviewers. Each board is normally organised before construction begins, and meets at the job site periodically. The board is usually formed by the owner selecting a member for approval by the contractor and the contractor selecting a member for approval by the owner, with the two thus chosen selecting the third to be approved by both parties. The three members then select one of their number as chair with the approval of the owner and contractor. Board members are provided with the contract documents, become familiar with the project procedures and the participants, and are kept abreast of job progress and developments. The board meets with owner and contractor representatives during regular site visits and encourages the resolution of disputes at job level. The board process helps the parties discuss problems before they escalate into major disputes. When a dispute arising from the contract or the work cannot be resolved by the parties, it can be referred to the board for a decision or recommendation. The board convenes a hearing at which each party explains its position and answers questions. In arriving at a decision or recommendation, the board considers the relevant contract documents, correspondence, other documentation and the particular circumstances of the dispute. During the annual conference of the Council of Federal Justice, several professionals that specialise in dispute resolution worked in groups to present proposals on major themes such as arbitration, mediation and other forms of dispute resolution, including dispute boards. The groups initially shortlisted the proposals in order to have them examined and submitted for approval during the plenary session. All proposals supported by the Brazilian representatives of the Dispute Resolution Board Foundation were fully approved by the Council of Federal Justice, dealing with the recognition of the validity of dispute board clauses and an express recommendation for the proposals to be adopted in Brazil. Finally, it means that the higher levels of justice – jointly with the legal community – officially recognise that (1) dispute boards are a key method for solving disputes that have arisen in both the private and public sector; (2) dispute boards are a recommended method to solve disputes, particularly in construction and infrastructure contracts; and (3) the adjudication model of dispute boards is valid and any decision granted by a dispute adjudication board must be observed until a further review is made through the courts or an arbitration panel. The city of São Paulo enacted Law No. 16.873/2018, regulating the use of dispute boards in its administrative contracts. There are two proposals dealing with the implementation of dispute boards nationwide: proposal No. 206/2018 authored by Mr Antonio Anastasia, which has been presented to the Federal Senate; and proposal No. 9,883/2018 authored by Mr Pedro Paulo, which has been presented to the Federal House of Representatives. Law No. 13,140 (the Brazilian Mediation Law) was enacted on 29 June 2015. It provides for mediation involving individuals and private entities, as well as the settlement of disputes involving public entities. It also regulates judicial and extrajudicial mediation. Courts of law in the country may create judicial centres of conflict resolution to which all cases that present the possibility of agreement through mediation will be forwarded. The provisions on judicial mediation must be interpreted together with the new Brazilian Civil Procedure Code (Law No. 13,105/2015). The new Brazilian Civil Procedure Code provides for a mediation or a conciliation hearing in the early stages of most lawsuits. The Code also regulates the activities of mediators in judicial proceedings. Extrajudicial mediation involving individuals and private entities has been already used in some cases, since it does not require a specific law regulating the matter. But it is expected that the new legal framework will boost the adoption of mediation and provide comfort to parties that are not familiar with this method of conflict resolution. The Brazilian Mediation Law establishes that parties to an agreement may provide for a mandatory mediation meeting if a dispute arises. Like an arbitration clause, this mediation clause will have a binding effect. According to certain studies, the binding effect of the mediation clause contributes significantly to the development of the mediation proceeding and to the resolution of conflicts without arbitration or judicial proceedings. With respect to disputes involving public entities, the Brazilian Mediation Law provides for the future creation of administrative resolution and conflict chambers. It allows, however, the immediate adoption of ad hoc proceedings while these chambers are not constituted. The overriding considerations during mediation proceedings must be the autonomy of the parties and confidentiality. A duty of confidentiality will apply to the parties, their lawyers, their experts and any others who participate in the proceedings. This duty would extend to preventing the mediator from testifying in any subsequent court or arbitration proceedings and would apply strictly to the parties in any such proceedings subsequently. Statements and admissions made during, and documents prepared especially for, mediation proceedings will be deemed inadmissible in any arbitral or judicial proceedings. Operation Car Wash continues to radically impact business in Brazil. Not only has this put a major dampener on petrochemical projects, but it has also had a nationwide impact upon the economic, political and business landscape. Nevertheless, several important infrastructure projects are expected to be launched in 2019 creating an unprecedented opportunity for infrastructure investors and international contractors. With the economy and federal budget in crisis, other participants in the infrastructure sector – notably pension funds and the government itself – are sitting on the sidelines and may even look to sell existing projects. All that has opened the door to new players. China takes a long view on Latin American infrastructure investment and a major wave of Chinese investment is expected in Latin America in 2019. Notably, China Three Gorges Corporation, the State Grid Corporation of China, the China Communications Construction Company and the State Power Investment Corporation plan to expand their acquisition of sizeable greenfield assets, develop transmission lines and invest in big infrastructure projects. One of the government's major strategies therefore is to focus heavily on infrastructure and to achieve this, consistent project investment is required. Yet the economy is dealing with high tax rates and high debt, de-prioritising finance for these capital-hungry projects. In attempt to alleviate this, the government and states are working on ways to develop a PPP model. Concessions are also being offered to investors or companies to finance, build and then run the infrastructure. upgrading and expansion of port facilities – often tied to rail facility developments. The PPP Law illustrates the urgency and importance that the federal government has attached to this matter in response to the pressure brought by state governments (notably, Minas Gerais and São Paulo) and the private initiative. The driving force behind the quick congressional passage of the draft bill into the PPP Law was the well-known critical shortage of public funds for sponsoring infrastructure works and utility services, and meeting the demand resulting from the country's economic growth spurt. This shortage of public funds, coupled with the private sector's lack of interest in taking over these works and services under the traditional concession system, may help to explain why infrastructure investments have nearly halted. The approval of PPPs has undoubtedly represented a great victory for the federal government, especially by offering a wide array of possibilities for the presence of private entities in key sectors of the Brazilian economy. Therefore, the great expectations and discussions over the role of PPPs in Brazil are justifiable. The period of 2014–2018 will be remembered for the in-depth investigations of Operation Car Wash and the development of other important investigations related to the fight against money laundering and corruption in Brazil. During this period, the country's business practices have undergone significant transformations. At the centre of these transformations is the improvement of systems for the detection, investigation and punishment of various infractions by public authorities. Nevertheless, there has been progress in more robust and cooperative investigations in diverse subjects. Against the backdrop of an economic crisis and an increase in the possibility of detection and punishment of infractions of a varied nature, preventive actions taken by companies, such as compliance programmes, are becoming more critical, and are encouraged by new legislative requirements and by the authorities. The existence of appropriate strategies aimed at risk control, the adoption of procedures for their implementation, the definition of responsible persons, the incentives to report illegal practices and the possible sanctions imposed by the companies are essential tools for companies that want to avoid financial, legal and reputational damage. Without a doubt, the adoption and enhancement of internal controls is the essential investment in corporate governance that players of the construction industry need. 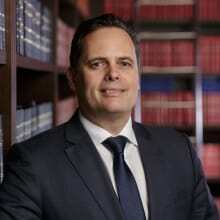 1 Júlio César Bueno is a partner at Pinheiro Neto Advogados. 2 Covalence Ethical Ranking 2008, Ethical Quotation System Report, released on 20 January 2009. 3 São Paulo State Law No. 11,688 of 19 May 2004, Rio de Janeiro State Law No. 5,068 of 10 July 2007 and Minas Gerais State Law No. 14,868 of 16 December 2003. 4 Belo Horizonte Municipal Law No. 9,038 of 14 January 2005, São Paulo Municipal Law No. 14,517 of 16 October 2007 and the Rio de Janeiro Municipal Law No. 105 of 22 December 2009. 5 ICC International Court of Arbitration Bulletin, Vol. 22, No. 1, 2011.